When you've had the intimate experience with a country...such as living in it, it's had not to cheer for them in the worldwide games....the Olympics. But there wasn't much to cheer for in this Olympics with Japan...until Shizuka Arakawa that is!! She was stunning, but ultimately she delivered a clean performance...a rariety in this Olympics. 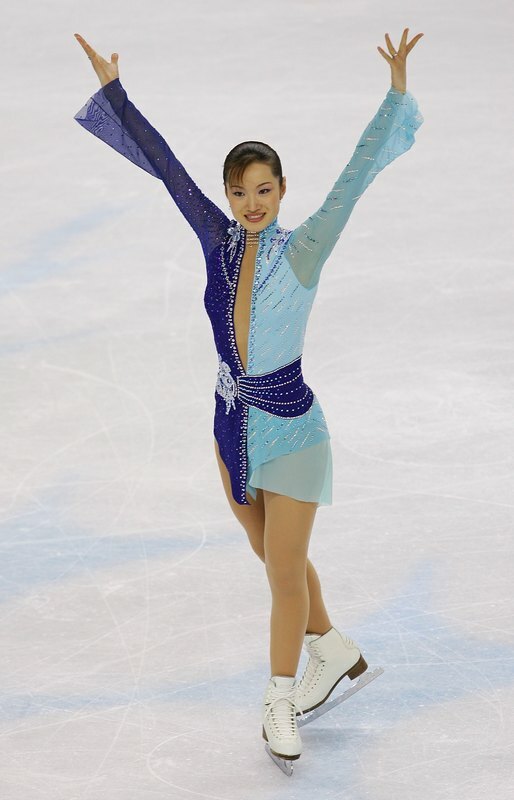 She deserved that beautiful medal and the special honor of being the first Japanese to win Olympic figure skating gold. And the first gold of these games. Congrats Shizuka and Japan!